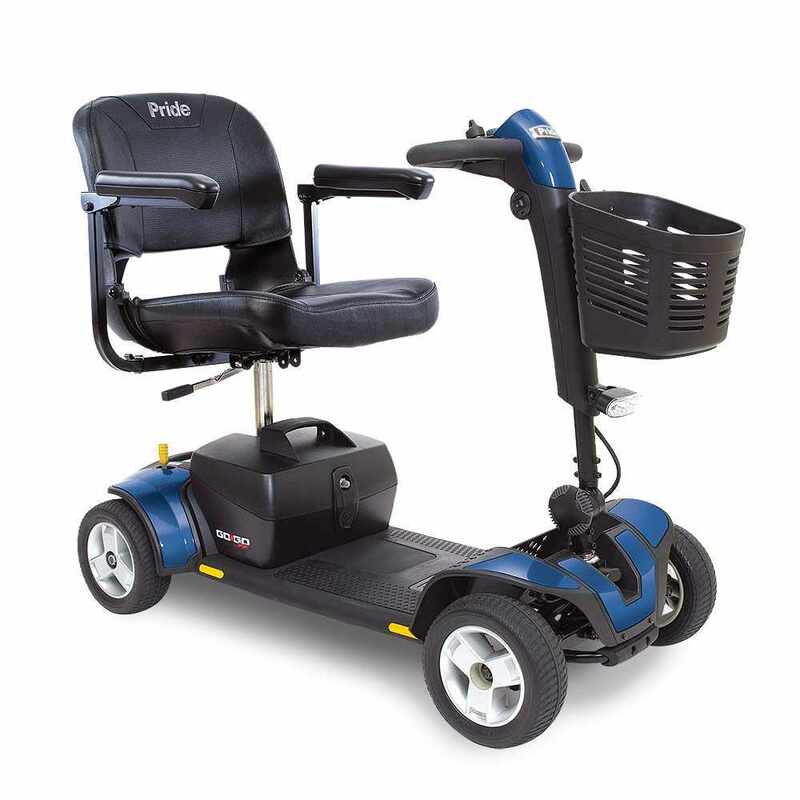 Pride Go-Go sport 4-wheel mobility scooter offers a simple delta tiller for easy, comfortable driving at speeds up to 4.7 mph. 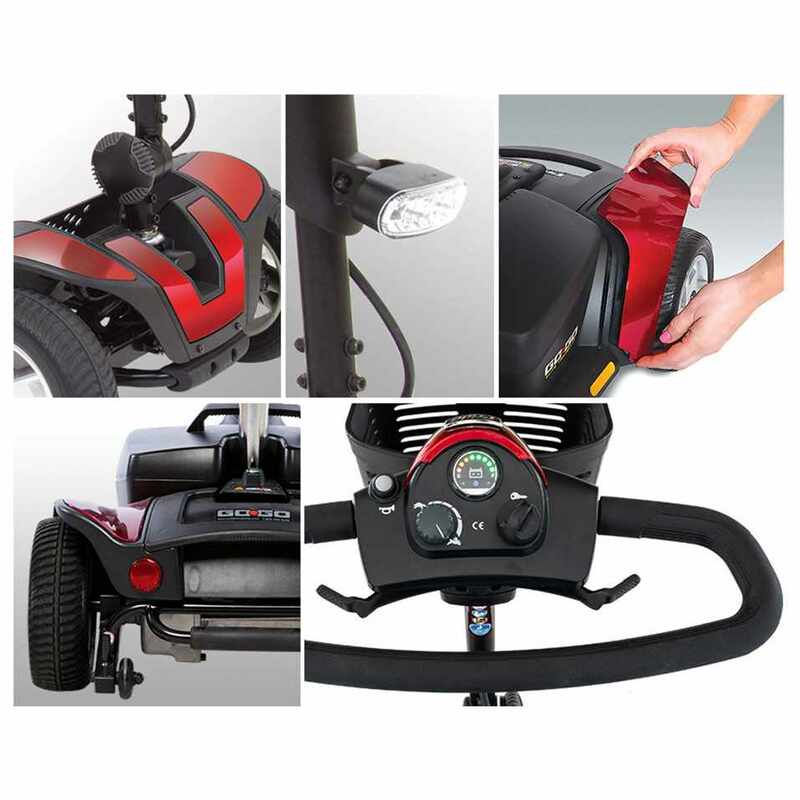 Go-Go Sport scooter includes 2 sets of easily changeable colored shroud panels in red and blue. 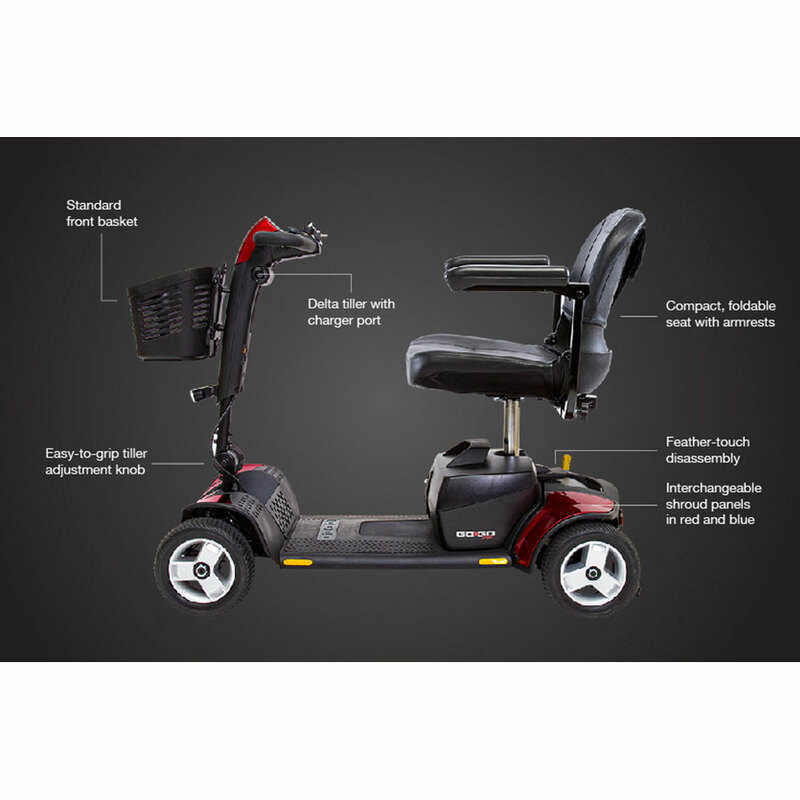 Go-Go sport 4-wheel mobility scooter has all-new frame design that easily disassembles into 5 super lightweight pieces for convenient transport and storage. Seat-to-Deck Height Range 17" - 18"